When we think of romantic breaks one of the first things to pop into our minds is escaping to a Winter Cottage in the woods with that special someone. Well, the good news is that Jeris offers exactly that! 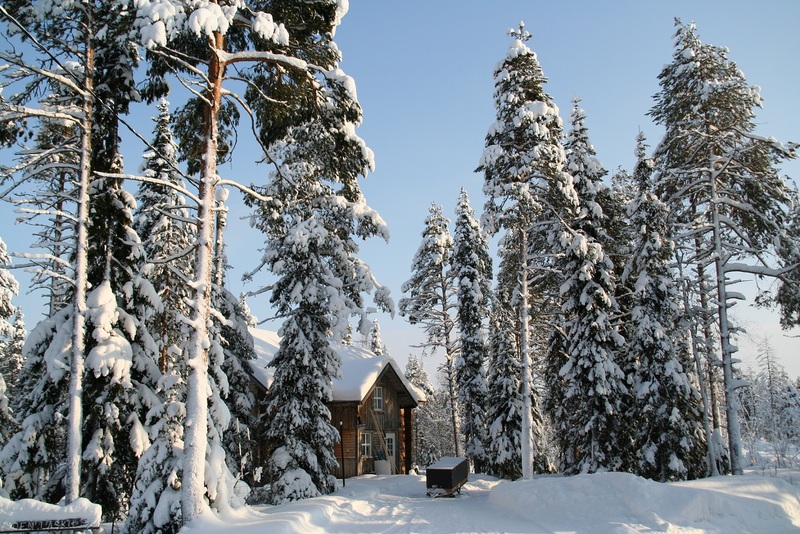 Situated 20km from the nearest village on the picturesque shores of Lake Jerisjärvi, Jeris is home to 32 winter cottages tucked away in the nearby snow-covered forest. All the cottages come with their own log fires, private saunas and are just a short distance from the hotel’s own spa, making them perfect for a relaxing, romantic break. Of course, there is also plenty of opportunity to make the most of the snowy landscape too, with cross-country skiing, snowmobiling, reindeer safari, ice fishing, snowshoeing and dog sledding all included! If you want to add even more romance to the holiday you can even upgrade to a night in one of the lakeside Aurora Domes for a truly magical night. Known as the ‘land of fire and ice’, Iceland is a destination full of incredible natural wonders and romantic opportunities! 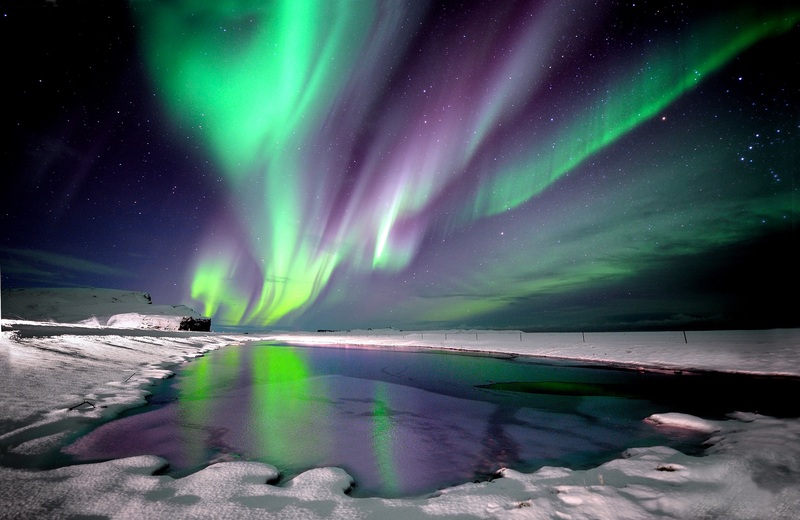 Number one on the list, however, has to be the chance to go in search of the Northern Lights. This trip to Iceland gives you this opportunity in style as you travel in a custom-made 4x4 super jeep and venture off the beaten track in pursuit of the elusive lights! The romance doesn’t end there as you and your partner will also visit the world-famous Blue Lagoon to unwind in its mineral-rich waters. This holiday also includes a bucket list opportunity as you go in search of over twenty species of whale during a whale watching tour in the company of expert guides. Of course, you will also have the chance to explore the fascinating city of Reykjavik too. This really is a Valentine’s break that you will both treasure forever! Escape the pressures of modern life and enjoy a romantic escape at Saija Lodge in the remote wilderness of North East Finland. Situated on the shores of Lake Jokijärvi, Saija Lodge is the ultimate location for those looking for some peace and quiet as well as some Arctic adventure. Built entirely of wood, Saija Lodge is home to roaring fires, candlelit rooms and wonderful home cooked food, perfect for relaxing after a day of exciting activities! With cross-country skiing, snowshoeing, a husky safari and a reindeer day all included, there is plenty to keep you and your loved one entertained during the day as you explore the stunning snow-covered landscapes. What is more, you can add extra romance to the holiday by upgrading to a night in a Sky Cabin for the chance to witness the Northern Lights from the comfort of your own bed! If you are looking to experience the wild, remote and traditional side of Finnish Lapland with your partner, then it is hard to beat Utsjoki. 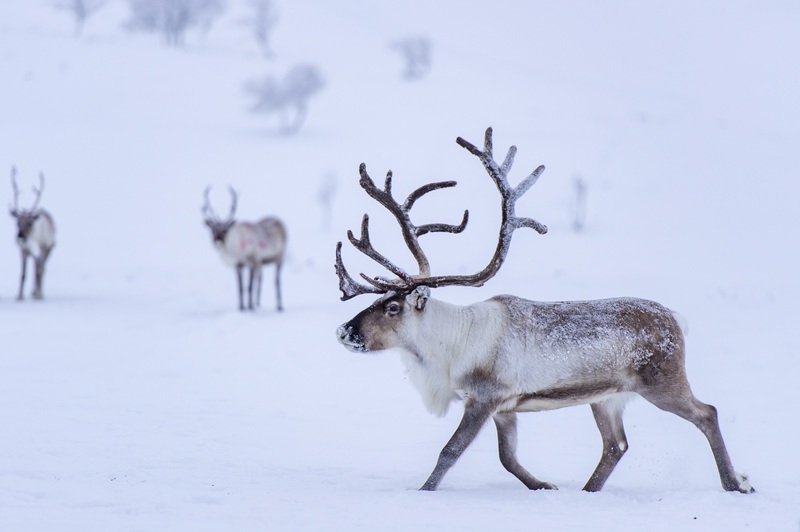 Situated at the very top of Finland, close to the Norwegian border, Utsjoki is surrounded by dramatic peaks, snow-covered fells and plenty of reindeer. Staying in a hotel run by a traditional Sámi reindeer herding family, this break offers you and your loved one the chance to experience the stunning surroundings and delve into the fascinating Sámi culture. From snowshoeing through the Sacred Valley to enjoying dinner in a traditional Sámi hut, trying local delicacies and listening to stories and songs about the Sámi way of life, this holiday is real cultural experience. Of course, there is plenty of opportunity to make the most of the remote, romantic and snowy setting too, with husky sledding, snowshoeing and a reindeer sleigh ride included. Alternatively, why not design your own romantic getaway on a tailor-made break to Torassieppi in Finnish Lapland? 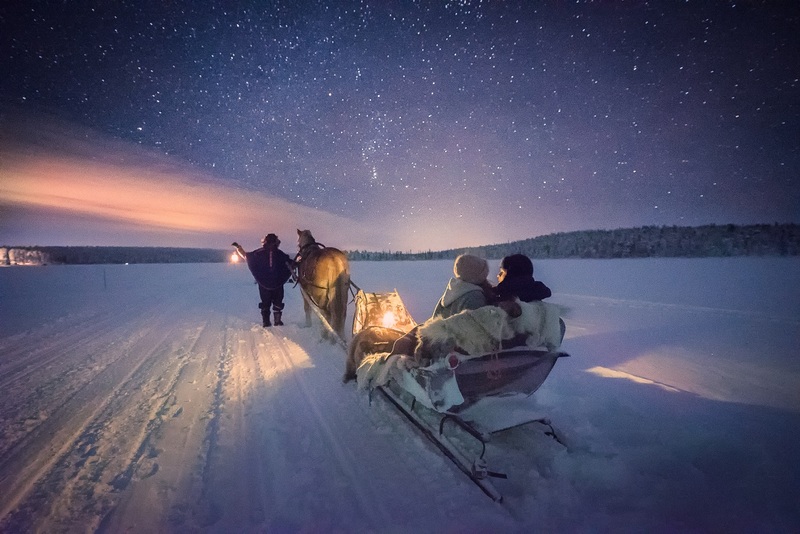 Situated on the edge of Lake Torasjärvi, close to the spectacular Pallas Ylläs National Park, Torassieppi Reindeer Farm is an excellent choice for a dream break with your loved one. 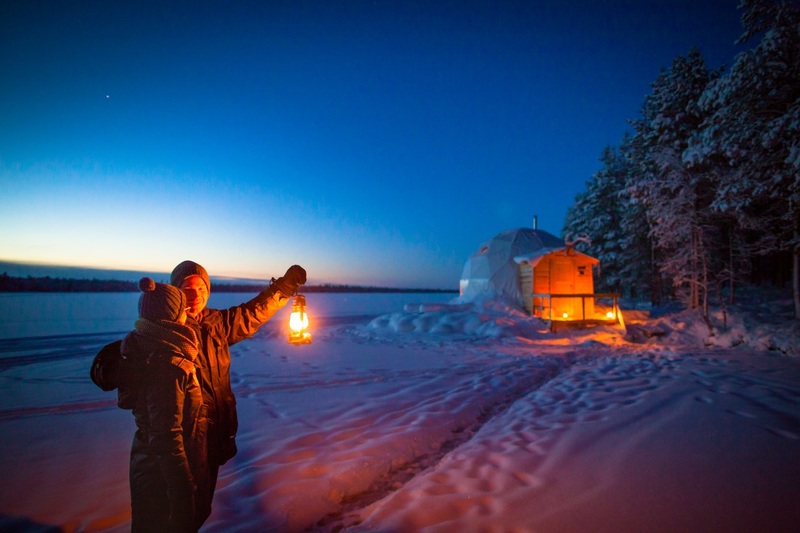 With Winter Cottage accommodation, optional upgrades to a night in an Aurora Dome or a traditional snow igloo room in Torassieppi Winter Village, and plenty of exciting Arctic activities to choose from, this really is a great place to experience Finnish Lapland at its very best. 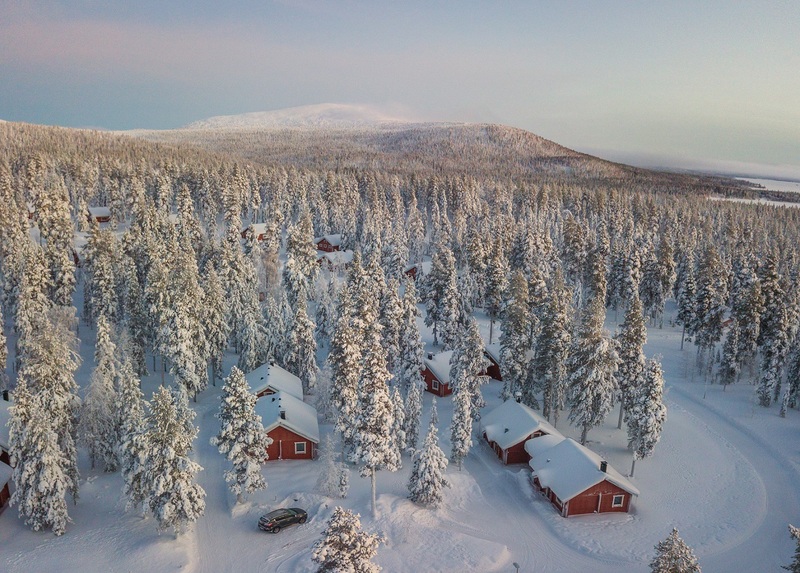 So, whether you want to relax in the lakeside sauna, venture out on an overnight husky safari or experience the thrill of snowmobiling, Torassieppi has everything you need to give your partner a holiday to cherish forever! With less than one month to go, the countdown to having the perfect Valentine’s Day is on. Contact an Artisan Travel Expert on 01670 785 085 or click here to enquire.